Our Angled Drape Posts jut out of the ground at various heights and angles, allowing you to run a cord between them and drape sheets to form dens. Children love to make little hideaways and the sporadic nature of these posts mimics the non-uniformity of the woodlands. 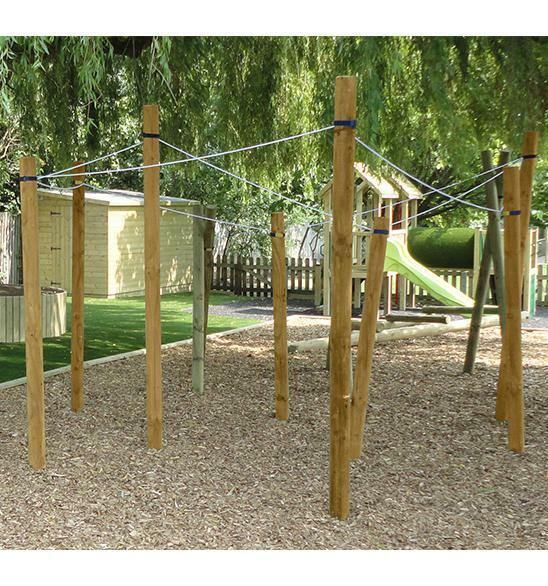 We can install more or less of these posts as required, and they are all constructed from single pieces of durable timber. 7 timber posts (other amounts available).